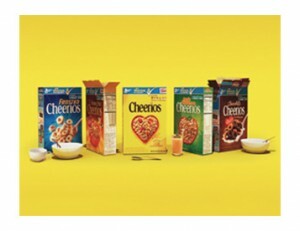 Cheerios is celebrating two fun things: 1- their first Superbowl ad (airing Sunday….see it here) and 2- their partnership with a non-profit to introduce The Family Breakfast Project (learn more here). The celebrate, YOU get the gift: a buy one get one free coupon! (get it HERE) The coupon is only available to the first million people who download it so print it before the commercial airs on Sunday! ShopRite has Cheerios on sale this week for $1.99 and Price Chopper will have them 4 for $8 (with store coupon) next week. Use this buy one get one free coupon for extra savings- print it twice. This entry was posted in Coupon, Price Chopper, ShopRite and tagged Cheerios. Bookmark the permalink.